Boston Women in Public Finance, Inc. is a 501(C)(6) non-profit organization for women in the public finance industry in the Greater Boston area. Founded in 2010, we provide educational and professional networking events throughout the year. Boston Women in Public Finance is 100% funded by sponsors, and does not charge membership or event fees. 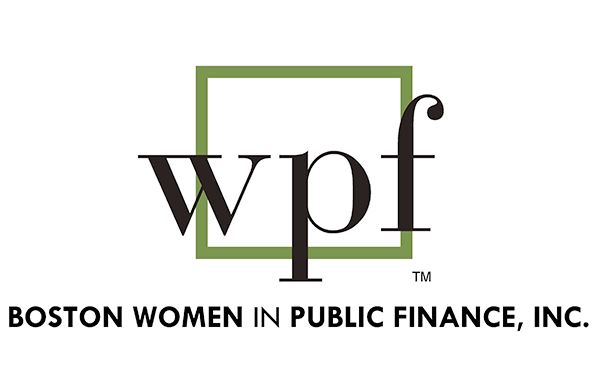 We are a chapter of the national organization, Women in Public Finance, which was founded in 1997 in Chicago, and has since expanded nationally. Participants in the national and regional groups include state and local government issuers, investment bankers, commercial bankers, attorneys, corporate trust providers, financial advisors, nonprofits, rating agency analysts, and bond insurers. Click to view photos from the AMAZING 22nd Annual Women in Public Finance Conference held in Boston on October 4-5, 2018. New Networking Opportunities for 2018! In 2017 WPF-Boston initiated a pilot networking opportunity in partnership with the Greater Boston Chamber of Commerce at their Women’s Networking Breakfasts. WPF members registered for the Breakfasts through the Chamber and were seated at a WPF reserved table. Due to the success of the pilot, WPF-Boston is expanding this opportunity to our entire membership for both the Women’s Networking Breakfasts AND the Government Affairs Forums. These events enable our members to hear from both prominent women leaders and elected officials from local, state and federal levels, and to network with hundreds of professionals from across the Greater Boston region. The table is limited to 10 seats per event and is filled on a first registered, first seated basis. Please contact Lori Hindle for more details on the registration process ([email protected]). Don’t forget to visit our Twitter and LinkedIn group page and to save the date for the WPF Annual Conference on October 4-5! December 10, 2018 - Join us at our annual Holiday Party! October 4-5, 2018 - BWPF hosted the WPF Annual Conference - thanks to everyone who helped out and attended! Wednesday, April 4, 2018: Boston Women in Public Finance and Locke Lord teamed up to host a networking breakfast at Locke Lord’s Boston office on April 4. The event was a great opportunity for current and potential BWPF members to meet and reconnect. Thanks to everyone who was able to attend, and for those who could not, please keep a look out for future events. We’d love to see you! Thursday, April 26, 2018 - 7:45 am, Omni Parker House – Boston Chamber’s Government Affairs Forum with Attorney General Maura Healey. Tuesday, May 8 - 5:30 pm, Bond – Cocktail Party hosted by Boston Women in Public Finance. Learn more about the benefits of membership in the Boston Chapter of Women in Public Finance. Boston Women in Public Finance is 100% funded by sponsors. Our current sponsors include financial institutions, law firms and financial advisory firms, and their dollars allow us to offer free membership and admission to all of our educational and networking functions throughout the year. Sponsors benefit by having their logo on our web site, invitations and event signage, and gain valuable exposure to our members.